Approximately 800,000 young people are registered under DACA, including at least 18,000 immigrants who arrived from Asian countries. Dreamers represent more than 6% of the estimated 11 million undocumented immigrants in America, none of whom deserve to be subjected to criminalization, state detention, and forcible removal by the federal government. “Over the past five years, the DACA program has enabled nearly 800,000 young people who were brought to the United States as children to come out of the shadows. This includes many Asians and Pacific Islanders who have been able to go to school, attain work permits, and pursue their dreams. All of our DACA recipients have passed rigorous background checks to participate in the program. And they are American in every sense of the word except on paper. “Unfortunately, President Trump has threatened to end the DACA program as we know it. But we will fight back. I want our DREAMers to know that there are members of Congress who support you and who will continue to fight to protect DACA and to fix our broken immigration system. 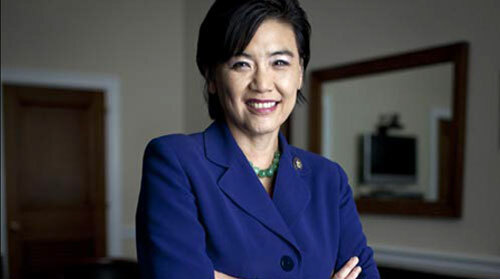 Several other members of CAPAC — including Senator Mazie Hirono (D-HI), Representative Ted Lieu (CA-33), Representative Ami Bera (CA-07), Representative Doris Matsui (CA-06), Representative Grace Meng (NY-06), Representative Stephanie Murphy (FL-07), Representative Joseph Crowley (NY-14), Representative Keith Ellison (MN-05), Representative Jerry McNerney (CA-09), Representative Scott Peters (CA-52), Representative Jan Schakowsky (IL-09), Representative Adam Smith (WA-09), and Representative Nydia Velazquez (NY-07) — also issued individual statements in support of DACA at yesterday’s CAPAC press conference. [B]y rescinding DAPA and continuing to build a mass deportation force, the Trump Administration continues to generate fear and anxiety within our immigrant communities. If this Administration truly cares about immigrant families, they must stop pursuing xenophobic and hateful policies that do not reflect our widely-shared values as a nation. Instead, we must take more substantive steps to ensure that we keep families together and work toward a permanent solution to fix our broken immigration system. Sign this petition demanding that DACA be made permanent US policy. Share your story about how DACA and TPS have helped you, your family and your community. 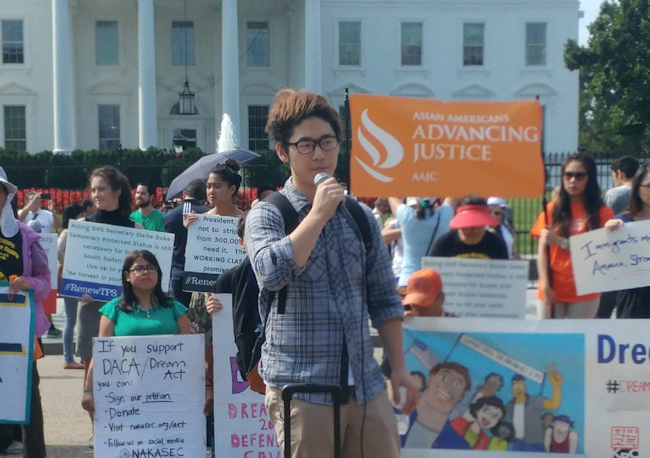 Donate to NAKASEC’s Dream Action vigil happening right now in front of the White House. Identify and contact your Congressional representatives, and urge them to speak out in defense of DACA. Register to vote and commit to voting against any elected official who has taken a stance against DACA.